When’s the last time your website did you any favors? Most landscapers think of their websites as billboards: just a quick sales line and a place to put their phone number. But we know it can be so much more. Your website can show off your very best work, can help turn your happy customers into your biggest supporters, and can help you generate more of the kinds of work you actually want. 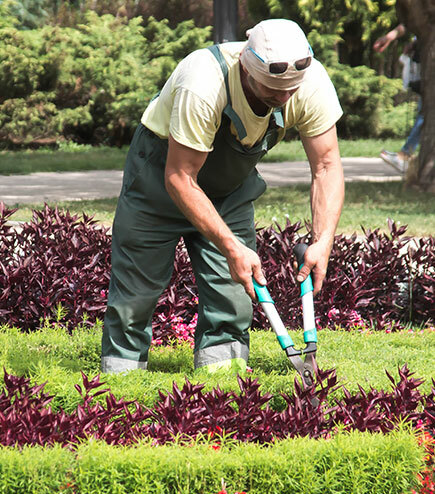 At Contractor Calls, we give landscapers all the tools they need to grow their businesses faster, year after year. Our comprehensive online marketing system combines smart web designs, industry-leading SEO, and dozens of marketing tools and tactics to get you more calls, better calls, and more value out of each call. Learn more about the Contractor Calls difference or contact us today for your free consultation. What Makes Our Landscaping Websites Great? Our landscaping sites are fully responsive, which means they’re designed to look great on any device, from desktop to iPhone. Our sites are hosted on premium servers that let them load lightning fast, even on bad internet connections. Most web design agencies can’t tell a conifer from a cypress, but ours can. Our landscaping websites are written 100% by U.S.-based writers who understand the landscaping industry and your target market. All of our websites are built with conversion in mind. 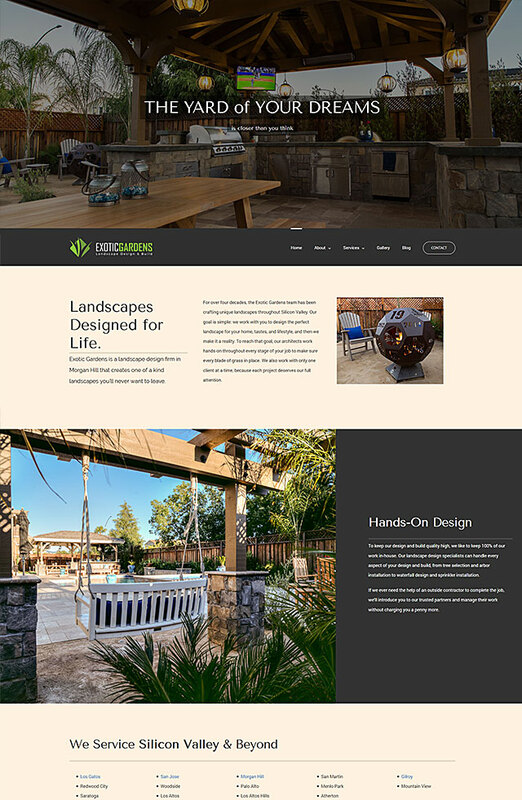 Our web designs for landscapers are built with push-to-call phone numbers, short lead capture forms, clear policies, intuitive navigation, and photos that help sell you as an industry authority. SEO should begin with web design. 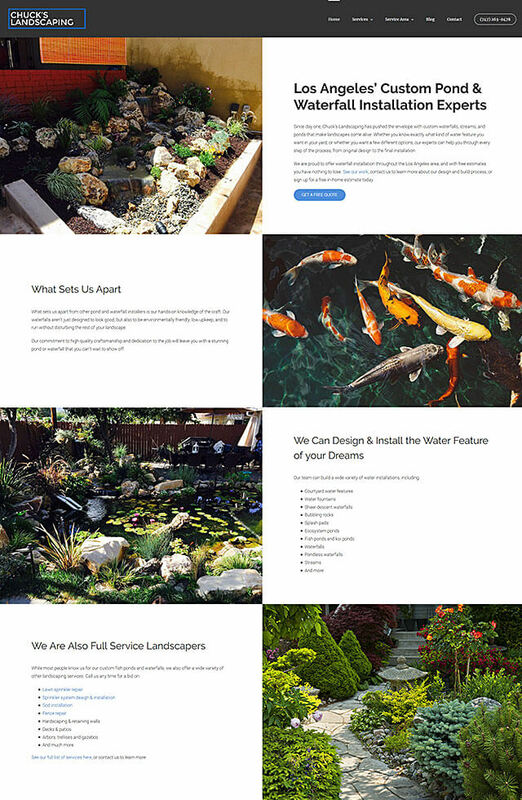 All of our landscaping websites are built on industry-leading SEO standards, incorporating smart internal link and page structures, finely-tuned taxonomies, time-tested keyword strategies, and dozens of other features you won’t get from a free website builder. Your business is unique. Your website should be too. All of our sites are built from the ground up to reflect your business’s focus. If you specialize in luxury landscapes, budget landscapes, hardscaping, water features, or sustainable landscape, your website should show visitors everything they need to know. That way, when they decide to call you, you’ll know that they’re the right customers for you. Are you 5 star rated? Has your company been in business for 40 years? Do you sponsor the local little league team? We think everyone should know about it, and your website is the perfect place to tell them. Every piece of your site, from the way we word your services, to the layout, to the photo choices, to the page choices, are built to sell the big picture behind your company. If we built your website, all of these issues will be prevented at design time, so we can skip straight to step 2. Without content, you wouldn’t have much of a website. Content covers everything you can read, view and consume on a website, from the pages and blog posts to your photos, illustrations, icons, videos, testimonials, pdfs and more. To be effective for SEO, your website needs specific kinds of content, formatted in very specific ways. Our content team will review your existing content to rewrite it, supplement it, or replace it as necessary. Then, we’ll go on to create new content around the services, policies, and information that matters most. In most markets, we will also actively blog to support a wider variety of keywords and content goals, to help grow your audience, and to help position you as an industry authority. Links are the cornerstone of SEO, but you can’t just build any links to your website. In fact, many links will do more harm than good, and sometimes you need the help of a specialist to tell them apart. Before we begin building links to your site, our team will evaluate your current link profile, as well as your competition’s link profiles, to see where you stand. We then prioritize new link opportunities based on the time to build, the resources required to build them, and their anticipated impact on your rankings. For most links, our team will handle all of the work without your involvement, so you can focus on your landscaping clients. Other links may require additional investments or involvement, such as joining the local chamber of commerce or sponsoring a little league team. Your website doesn’t operate in a vacuum. Everything from the photo choices on your Yelp profile to that one bad review on Homeadvisor can have an impact on your SEO campaign, so we do our research. Over the years, our team has developed a robust toolkit for evaluating your ecosystem, prioritizing improvements, and managing hundreds of profiles. While there are a lot of ways to approach SEO, we have found that many landscapers have the same SEO issues in common. If you want to generate business in more than just your hometown, you’re in good company. Unfortunately, many landscaping websites create fill-in-the-blank pages for each city they want to service, and then wonder why those pages never rank. Ranking outside of your hometown requires pages that actually relate to that target city, as well as reviews and links that back it up.